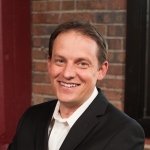 Chris began his career in Denver, CO as a research associate for The Meyers Group. During his time in this position, he led the new development research group and published monthly reports on absorption rates in the local market. In 2003 he joined UDR, Inc. a national real estate investment trust focused on the multifamily sector. During his tenure with UDR, he held positions of financial analyst, operational strategist and served four years as Director of Pricing and Revenue Management. Chris led a team in a nationwide rollout of yield management software for over 230 properties which led to industry-wide adoption and industry-leading revenue growth. After moving to South Dakota in 2010, Chris joined Sandra Runde and formed the only team in Western South Dakota solely focused on commercial real estate sales and leasing. Over the past four years, the KW Commercial team has led the market in both commercial sales and commercial leasing volume and transactions. Keller Williams Realty, Inc. is a real estate franchise company. Each Keller Williams office is independently owned and operated. Keller Williams Realty, Inc. is an Equal Opportunity Employer and supports the Fair Housing Act. The information contained herein has been given to us by the owner of the property or other sources we deem reliable. While we have no reason to doubt its accuracy, we do not guarantee it. All information should be verified prior to purchase or lease.